A definite buy! This is among the best in its class. 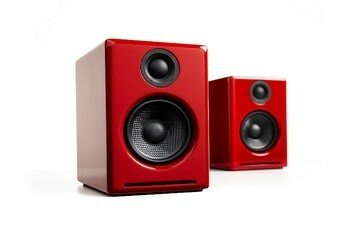 The sound will please audiophiles and music lovers. The speakers include a built-in DAC. The speaker cable could have been longer. Bass response is a little limited. The KEF Egg Wireless Digital Music System features two distinctive-looking desktop speakers that produce high-quality sound. 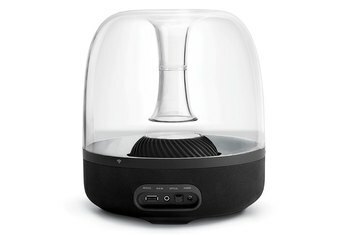 The speakers include a built-in digital-to-analog converter and the company's proprietary uni-Q driver array, which gives the impression that sound is coming from a single point in space. 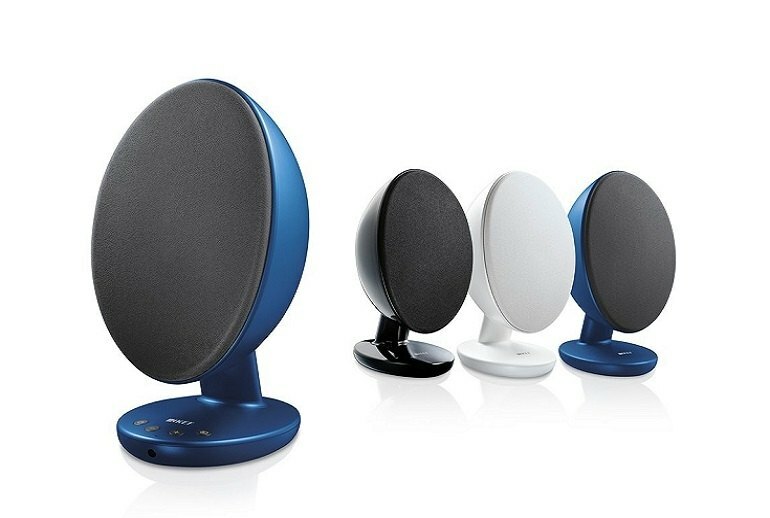 The KEF Egg speakers have been praised for the quality of their sound, and they faithfully reproduce high-resolution music. 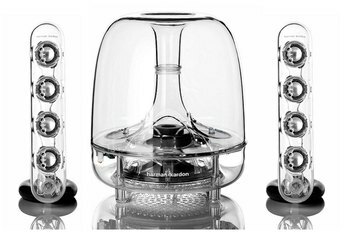 They connect wirelessly by Bluetooth or via USB, optical, or 3.5 mm audio cables. 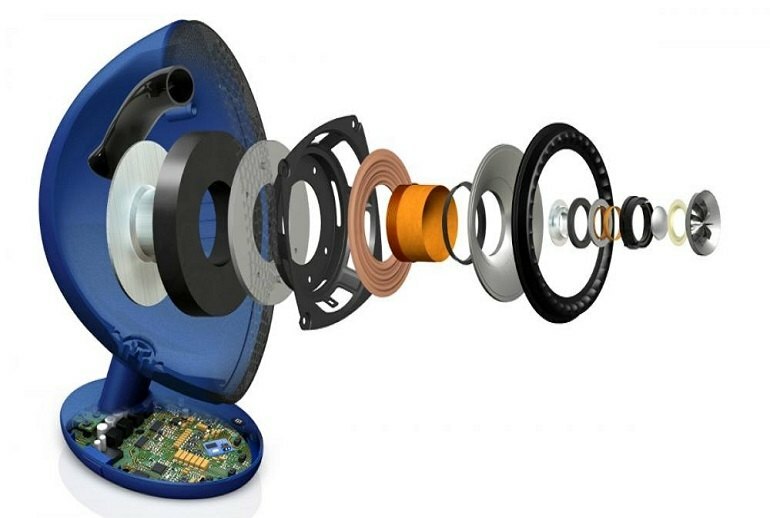 The KEF Eggs include a port for a subwoofer should you want a more expansive bass. We are very impressed with the KEF Eggs. Their distinctive design and flexible connectivity make for a great start, and they follow through with a stunning performance that is consistently competent across a variety of placements. 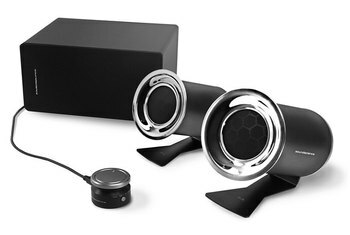 Connect them to your TV, your computer, or just place them in a room where you want music--they’re a killer little set of speakers. 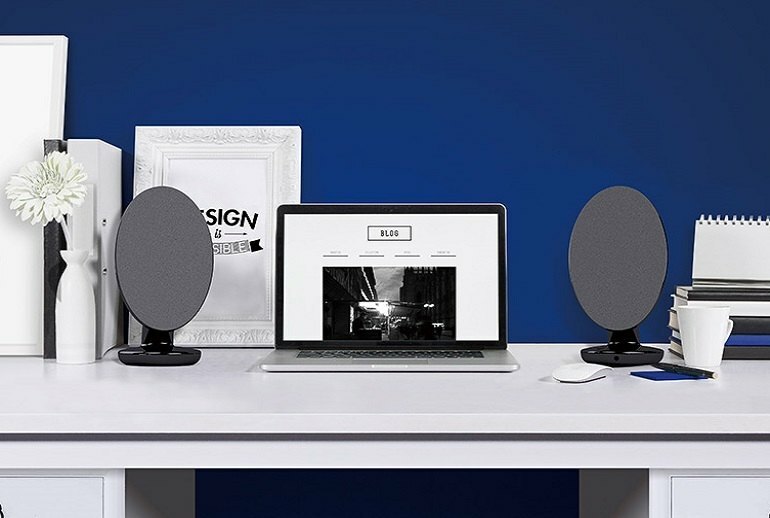 The main selling point of the speaker is the Bluetooth connectivity. It’s straightforward enough to pair your device (e.g. smart phone, laptop) to them and I found once you’d paired it, it would connect automatically for the most part once the speakers were turned on again. 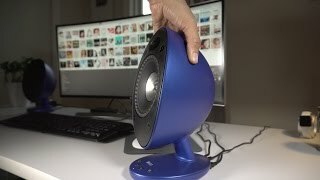 The idea is that the Egg is as happy being used as pair of PC speakers as it is as a Bluetooth device or indeed being used to bolster the sound of a TV. 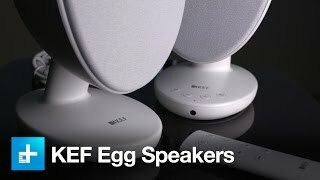 What is it that gives the KEF Egg its sound? 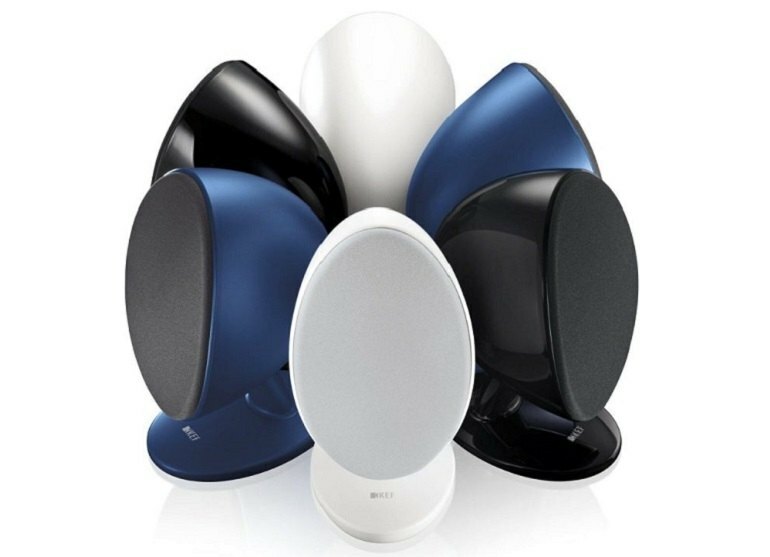 That responsibility primarily rests on its Uni-Q point source driver array, a KEF staple. 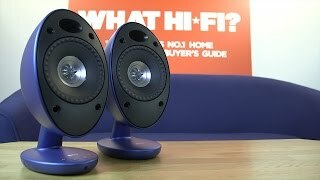 These being desktop speakers, they do start to feel challenged when there’s a heavy bass element in a song.